'Evil Dead II's Ash Williams has been voted the Greatest Horror Movie Character Of All Time. 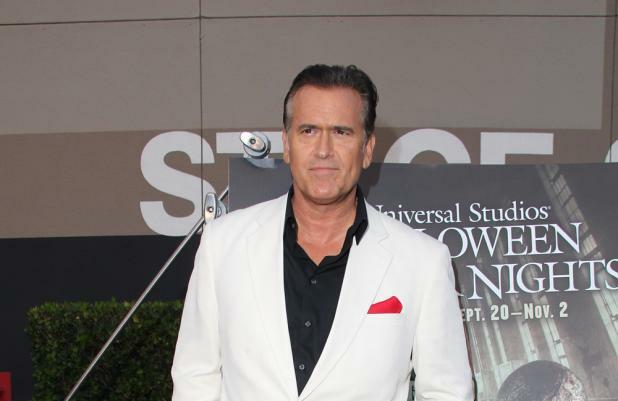 The one-handed, chainsaw-swinging, iconic hero - portrayed by Bruce Campbell - in Sam Raimi's 1987 cult classic beat 665 characters to the top spot in a poll carried out by Empire. The shortlist was put together using 666 horror films from 1913 to 2013, and was compiled using a combination of reader votes and opinion from a panel of experts. Campbell was pleased with the result, saying: "I think your readers are fine, intelligent, discerning people with obviously a lot of taste." 'A Nightmare on Elm Street's blade-fingered baddie, Freddy Krueger, climbed to second place, beating Anthony Hopkins' cannibalistic killer Hannibal Lecter from 'The Silence Of The Lambs'. While Ken Foree's Peter from George A. Romero's 'Dawn of the Dead' was pushed into fourth.